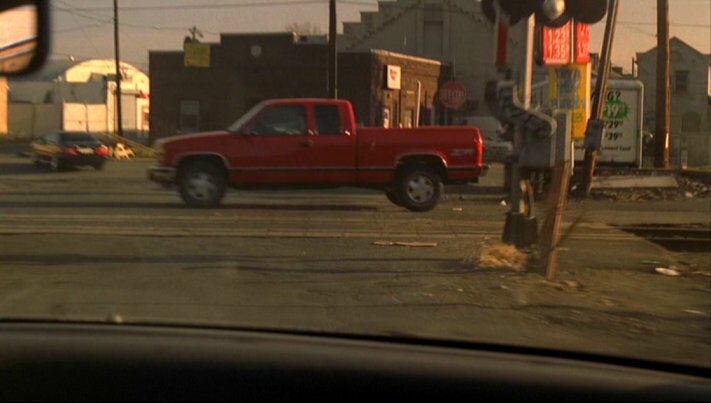 IMCDb.org: 1995 Chevrolet K-2500 Silverado in "The Sopranos, 1999-2007"
AFAIK, the Z-71 off-road package was ONLY available on trucks equipped with the Silverado package. Unless you expect it to be listed as a "C1500 Silverado." antp wrote What is it then? This is a K-2500 because of the rims and the clearance lights. It does not have the Z71 package because where it says "4X4" on the rear of the box would actually say "Z71"
cieraguy wrote This is a K-2500 because of the rims and the clearance lights. It does not have the Z71 package because where it says "4X4" on the rear of the box would actually say "Z71"
The picture has been changed; the Red truck in the thumbnail photo was the main picture, that’s why the truck is listed as a K-1500, because it was. That's right, this page was originally for the red truck, but then I thought it was better to have the green truck as the main image, so I swapped them. Well the green truck is a GMT400 C/K-Series regular cab with the extended/long 8.5ft. box, Silverado model, but couldn't it be a K3500? ?